Cancellation of Trident by the British government and policy not to replace or enhance Trident nor develop, purchase or deploy other nuclear weapons or allow the deployment of any foreign nuclear weapons on British soil or in British waters. Implementation of an arms conversion policy by the British government. Immediate negotiations leading swiftly to the rapid, timetabled abolition of nuclear forces worldwide and the conclusion of a global nuclear ban treaty. 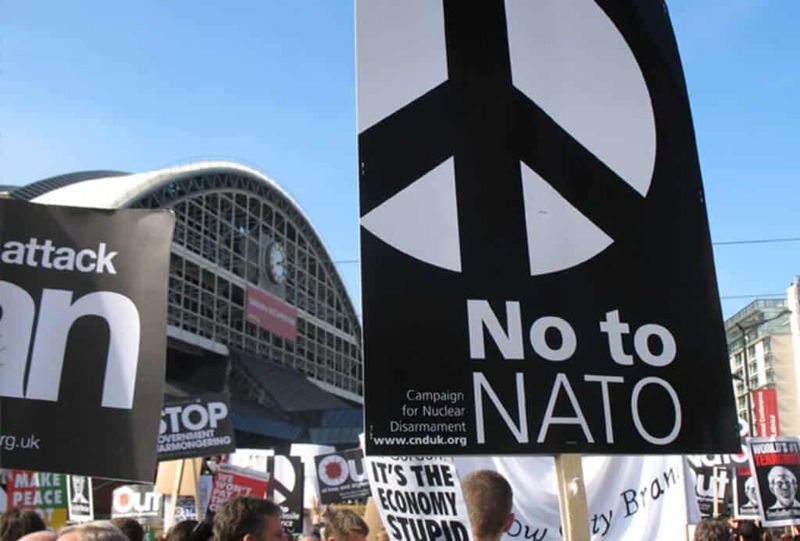 Prevention and cessation of wars in which the nuclear weapons of Britain or other countries might be used and strengthening the UN role in peaceful conflict resolution. Full international compliance with agreed Chemical Weapons Convention (CWC). A strengthened Biological Weapons Convention (BWC). Global abandonment of space weapons and missile defence programmes. An international agreement on the Prevention of an Arms Race in Outer Space. Extension of the influence, resources and funding of the Organisation for Security and Co-Operation on Europe (OSCE). No military nuclearisation of the European Union. Withdrawal of all US military bases and nuclear weapons from Europe and no nuclear or other expansion of NATO. Prevention of new build nuclear power stations and replacement of nuclear by universally acceptable sustainable energy technologies. Establishment of safe policies on nuclear waste storage and on re-use of contaminated land. Stopping the re-use, trade in and transport of plutonium and depleted uranium. 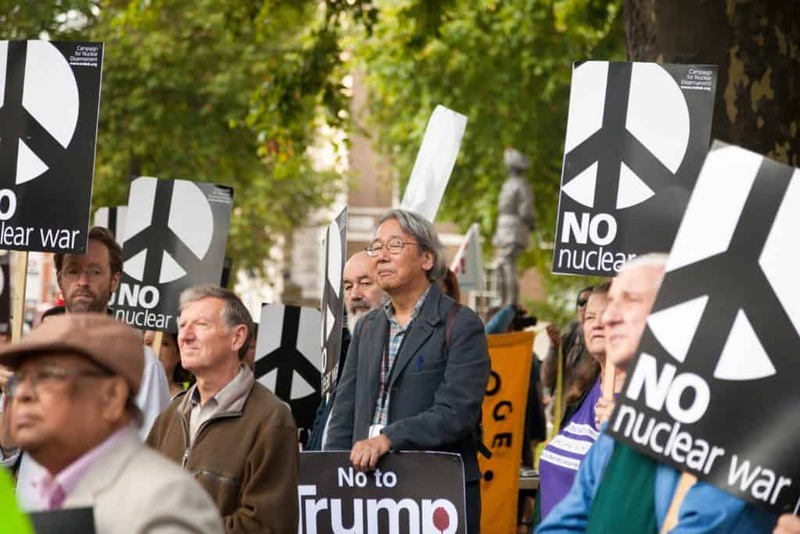 Change Government policies to bring about the elimination of British nuclear weapons as a major contribution to global abolition. Stimulate wide public debate on the need for alternatives both to the nuclear cycle and to military attempts to resolve conflict. Empower people to engage actively in the political process and to work for a nuclear-free and peaceful future. Co-operate with other groups in the UK and internationally to ensure the development of greater mutual security. 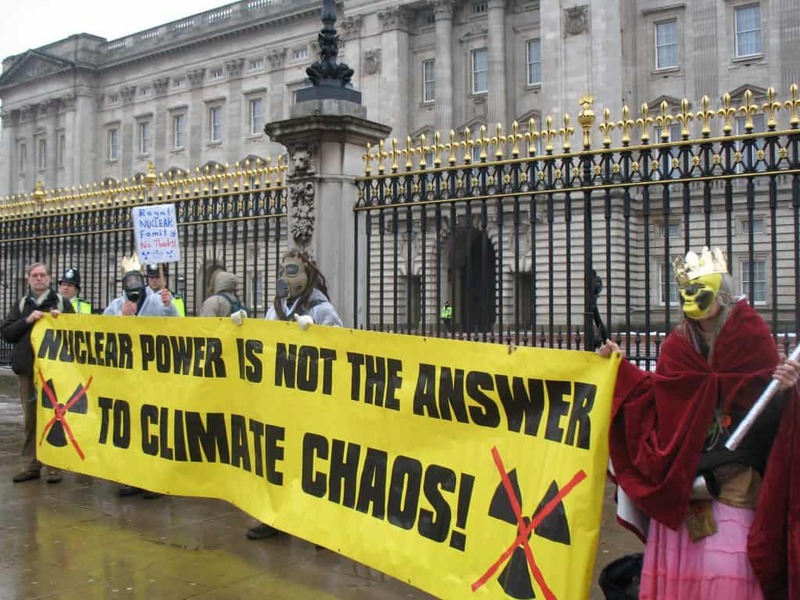 As a British campaign, we concentrate first and foremost on British nuclear weapons but we also work with anti-nuclear groups in other countries to eliminate the global threat. 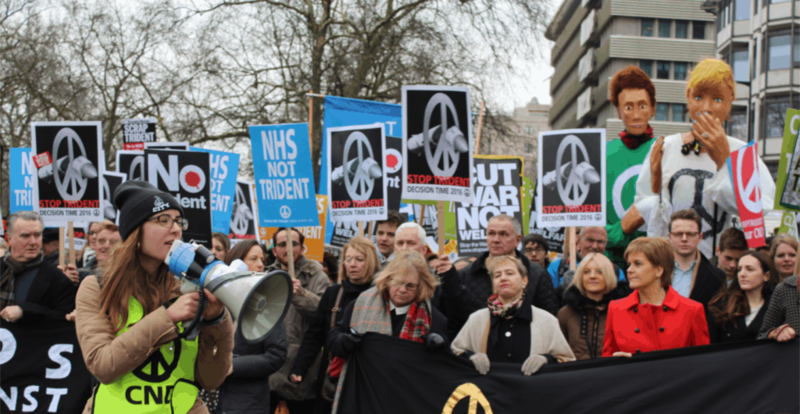 CND is also present at the United Nations and other international disarmament conferences. CND depends on funding from members and supporters. You can help by supporting CND. Become a member today.